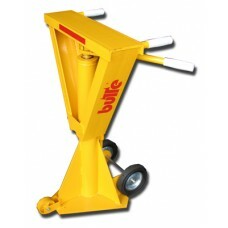 Trailer Stabilizer Stands facilitate loading and unloading of goods. They also help to level trailers parked on slopes by leveling the trailer. Trailer Stabilizer Stands can even be used to prevent gear from sinking into soft surfaces. Yellowbox, the Online Industrial Superstore carries durable and reliable Trailer Stabilizers and Trailer Stabilizer Stands for all your supply needs.